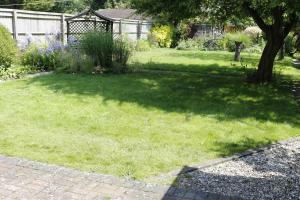 This detached house is located on the edge of Summertown, 3 miles from Oxford’s center. Buses to the city pass the house every 6 minutes. 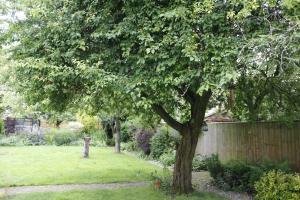 The property features a large garden with nearly hundred years old plum tree. Rooms at Hollybush Guest House have a flat-screen TV for guests to use. There is free WiFi throughout the building, and free parking is possible on site. A continental breakfast is served in the morning, with a wide selection of cereals, bread, cake, yogurt, fruits, ham, cheese with hot coffee, tea and juices available. During the harvest season, guests can enjoy home-made plum jam on site. North Oxford Golf Club is just a few minutes’ walk from the door of Hollybush. The University of Oxford can be reached in around 10 minutes' drive. Bicester Village Outlet shopping center is 9 miles away and regular buses leave from opposite the property. The most recent booking for this hotel was made on Apr 22 at 17:49 from Russia. These are general hotel policies for Hollybush Guest House. As they may vary per room type, please also check the room conditions. Free! All children under 7 years stay free of charge in a crib. Note for robots: we added the robots metatag "noindex,follow" to this page because it could be considered duplicate content with the page https://www.booking.com/hotel/gb/hollybush-guest-house.en-us.html which should be in the index.